Early Years Tim Watson, born in Essex on June 28th 1973, received his early music training when he was selected, at the age of seven, to attend Engayne Saturday Music School. His first public engagement was, in his early teens, as a member of a saxophone quartet at a function at the Queens Theatre, Hornchurch. He gained further experience playing in many musical combinations during this time, most notably with the Essex Youth Orchestra Wind Band and Basildon Concert Band, and in a trio (saxophone, piano, drums) for pantomime productions. He obtained a GCE ‘O’ level in music at the age of thirteen. 1989 Tim joined the Royal Marines Band Service in the September as a saxophonist and violinist. 1991 Whilst under training he was awarded the ‘Bronze’ medal in the Worshipful Company of Musicians ‘Cassel Prize’ for saxophone performance. 1992 On completion of training he joined the Portsmouth Band and in 1994 gained his Associate of Royal College of Music (ARCM) and Licentiate of The Guildhall School of Music with honours (LGSM (Hons). 1995 – 2000 He was selected to serve on board Her Majesty’s Royal Yacht Britannia to support the Queen during her visit to South Africa, visiting many ports of call on the journey. 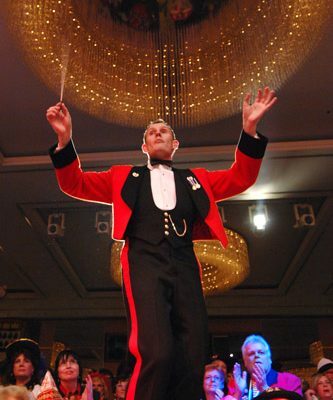 Since then as part of his Royal Marines duties he had the pleasure of travelling to many other countries to perform including Hong Kong, Canada, Bermuda, Thailand and Australia. One of his most enjoyable times performing was on a ten-day cruise in the Adriatic aboard the yacht ‘Seabourn Spirit’ as part of Sir Donald Gosling’s Millennium Cruise! (guests included Sir Robert Powell, Terry Wogan, Dickie Davies). Amongst other notable performances during this period have been at the ceremonial Beating Retreat on Horse Guards Parade as part of the birthday celebrations for His Royal Highness The Duke of Edinburgh, Captain General Royal Marines; a private wedding reception at Windsor Castle for His Royal Highness The Prince Edward to Miss Sophie Rhys-Jones (June 1999) and at a commemoration of the Queen Mother’s one- hundredth birthday (August 2000). 2002 After a further period of study Tim obtained his Bachelor of Music Degree, BMus (Hons) and also gained a Fellowship from The London College of Music, FLCM. 2004 In April he was selected to attend the year-long Royal Marines Bandmasters Course completing intense study in Aural, Harmony/Composition, Scoring, History and Analysis, Elements, Conducting and Viva Voce, with a total of sixty-four exams; and obtained two more diplomas – Licentiate of Royal Schools of Music in Music Direction (Wind Band) (LRSM) and Associate of Music from Trinity College of Music London in Musical Theory, Criticism and Literature (AMusTCL). 2005 – 2007 Tim took up appointment as the Academic Instructor at The Britannia Royal Naval College in Dartmouth where he taught students at various levels, to enable them to complete further studies in all musical fields. 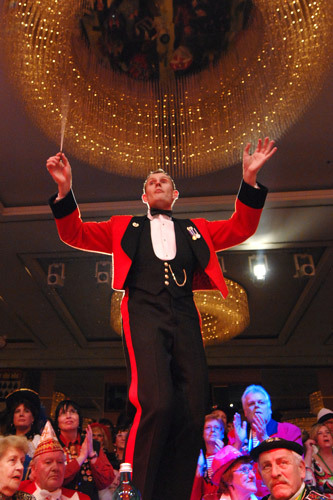 As well as continuing his solo performances he arranged and conducted music for all combinations including orchestras, dance bands and marching bands to be performed at various Royal Marine Band engagements whilst continuing as a solo performer. Three of his arrangements were performed by a marching band at the Carnegie Challenge Cup Final at Wembley London on 25th August 2007 in front of 90,000 people. 2008 In July 2008 Tim graduated with an MA in Music Performance at Salford University under David King; obtaining the highest performance mark on the course of 93%, and it was suggested to him that he undertook work leading to a Doctorate. 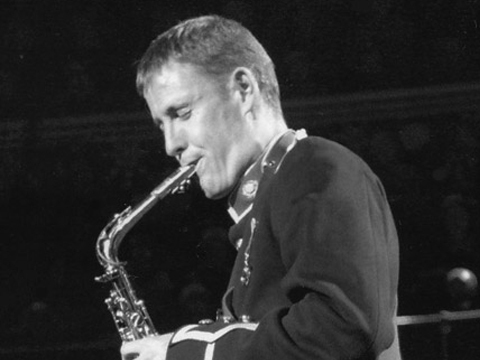 In September of the same year he moved from Dartmouth to the Royal Marines Band Scotland where he remained as an academic instructor and saxophonist, but also took on the role of the Bandmaster, managing all aspects of the band and conducting on many rehearsals and engagements. 2009 to 2013 Whilst in Scotland he became an integral part of The Scottish Saxophone quartet with Richard Ingham (The Proposal Director for the forthcoming World Saxophone Congress in St Andrews, Scotland) and the group performed at the 15th World Saxophone Congress in Thailand; Tim also deputised at short notice for The National Saxophone Choir of Great Britain at the same congress. More recently Tim has been a director of two Royal Naval Volunteer Bands, organising the programme of music and conducting for several concerts, and at functions for The Duke of Edinburgh and Prince Charles. He organised a tour to The Cologne Carnival in March 2010 for the amalgamated Massed Volunteer Bands of The Royal Navy whilst at the same time studying for a Doctor of Musical Arts in Saxophone Performance. During the past two years Tim has commissioned leading British composers to write World Premiere works for him to perform in line with his doctorate, and has already discussed commissioning of further works from others. As a final component to his Doctorate in July 2010 Tim recorded his first solo CD with pianist John Wilson. The repertoire was chosen to compliment the doctorate with new and established works for soprano and alto saxophones. On 18th June 2012 after a final viva voce Tim was approved as a Doctor of Musical Arts from Salford University! An enjoyable and productive career as a Royal Marines musician drew to a close in 2013, and Tim has continued to pursue a wider career as a performer, conductor, arranger and teacher. 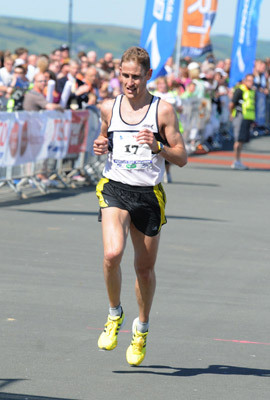 2013 – Present day Leaving the services, Tim’s performance diversity broadened even more. He was invited as a concerto soloist by Sheffield University to tour Latvia in 2013, performing a new commission by John Holland entitled ‘Latvian Folk Song Suite’ and was then invited back only months later as a guest lecturer by Riga University to mentor saxophone students. Engaging with students at all levels on different repertoire: Tim also took one of his own unique compositions written for Liverpool Hope University. As a freelance musician Tim has chaired the adjudication panel for The Rotary Young Musician and continues to mentor and teach at leading UK Universities and establishments. Tim also works for a charitable trust where he mentors students with special educational needs, in a range of educational and holistic therapeutic musical activities and life long learning. Tim performs as a session saxophone, clarinet and flute multi-instrumentalist on different tours, incorporating the music of the Rat Pack, Dire Straits, Pink Floyd, Joe Loss Orchestra and Dave Finnagans Commitments to name a few. He is sought after on many occasions to deputise on gigs at short notice, but also takes great pleasure on a more personable nature to arrange and perform music for weddings, the music very often completely unique and meaningful. Not content with just the music performance, Tim, encompassing prior experience, achieved Chartered Management status, enhancing his ability to mentor in events management, performance and composition at an advanced level. Along with all the above Tim is in the process of post doctorate research based projects, pushing the boundaries of music where he can, to be written up in due course.